I hope all is well and you are looking toward some wonderful spring weather. As we have seen, the flowers are coming through fighting the last bit of cold weather that Mother Nature chooses to send our way. 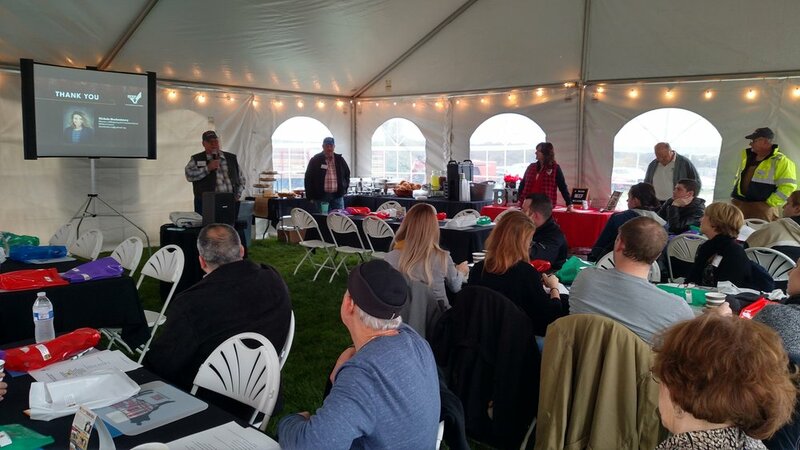 Last Monday, our March general meeting was held at Montour Country Club. Our guest speaker was Dr. Richard J. Mills Ph.D. from Robert Morris University. His presentation was on sustainable farming and food technologies. Dr. Mills brought personal experience caring for his farm across the street from the club, a farm he grew up on. He’s grown a variety of vegetables throughout the years and raises some animals for consumption. The name of the farm is Roselea Farm. Robert Mowery is the owner of Forever Heart Farm. He and Dr Mills work together in a barter system for the items that they can trade with each other to help keep costs down. Some of these items are feed products for Dr. Mills and manure he composts for Mr. Mowery for his vegetables. The system works well. There was also a presentation by Amy Logston, Exec Director of Autism Speaks Pittsburgh. Amy spoke about the annual Dine-In Charity Night Gala on Thursday 21 November 2019 to benefit the local chapter. The participating chefs are pared with a unique individual. The chef will get to know the individual, what that person likes and create tastings based on their food choice. The average number of guests is around 300, and this year they are hoping it reach 400! The foods are not necessarily complicated or exotic by any means. I went to a meeting last Thursday that Amy hosted at SoHo on the Northside. There were about 20 attendees. John Selick CEC, CCA, WCEC ACF Cleveland President, and a 10-year veteran of this event, Tim Fetter CEC ACF Laural Highlands President, and I were in attendance. It was great to get together with other chapter presidents and chefs to and discuss working together on a common cause over a beverage and hors d’ oeuvres. If you are interested, Amy can be reached at amy.logston@autismspeaks.org. After Dr. Mills and Amy’s presentations, the club provided a few nicely prepared hors d’ oeuvres. There was also a cash bar. At the end of the evening, both presenters were pleased at the amount of inquiries they had and spoke to many of the members. Our next meeting will be on Monday 22 Apr at 7:00pm at the Oxford Athletic Club in Wexford. The presentation will be on Aquaponic Tower Gardens by Robert Lilko. I met Bob at a National conference a few years ago. These are great for limited space and can be used inside and out. The evening will be will be hosted by Chef Martin Thomas, CEC. Finally, if you have not made you reservations for the ACFPC Awards Gala, please do so. The dinner is sure to be fantastic. As always, Chef Cindy Tuite will manage our annual auction. There are golf packages, knives, hand made leather knife rolls, baskets, dinner packages, as well as some other interesting items. And, if you haven’t heard, this is the ACFPC’s 75th anniversary! Come and enjoy a beautiful dinner at a beautiful club. Come and enjoy a glass of champagne, scallop ceviche, and other hors d’ oeuvres the patio! Unless Mother Nature has something to say about it! I hope this letter finds all of you starting to warm up. It seems like as soon as the weather starts to break, it gets cold again. But as Punxsutawney Phil promised, there will be an end to winter soon! We just learned of the passing of Rev. Willie F. Stinson late last year. Rev. Stinson, 82, passed away on November 10, 2018. He was the son of the late Will C. and Katie Frazier Stinson. He graduated from Oregon Institute of Technology in Klamath Falls, Oregon, and the Culinary Institute of America in New Haven, Connecticut. He also earned a Bachelor’s Degree in theology from Trinity College of Bible in Newburgh, Indiana. Rev. Stinson committed his life to Christ at the tender age of 12. He was licensed to preach the gospel of Christ in June 1986 and ordained a Minister in June 1987. He has served as Assistant Pastor at New Hope Baptist Church in Washington, PA and New Zion Baptist Church in Pittsburgh, PA. He also served as the Pastor at First Baptist Church in Marianna, PA. Through his professional career, he worked at the Waldorf Astoria Hotels and Resorts in New York, New York as an Executive Chef. He was an instructor and Regional Director for the Culinary Institute of America in Hyde Park, New York; where he was responsible for the chef's apprenticeship program for the East Seaboard. He also served as an executive chef at Lone Pine Country Club in Washington, Pa. Rev. Stinson also taught the CCAC, in Pittsburgh PA until his retirement to full-time Pastor. Our sympathies go out to his former students, those in his ministry, friends, and family. At the February monthly meeting of the ACF Pittsburgh Chapter, we had 5 students enter the “Anything Goes” competition. The theme of the competition was Decorated layer cakes. Entering the competition were: Kathleen Garland from Bidwell Training Center, Richard Grabowski from Bidwell Training Center, Ian McVaugh from CCAC Culinary, Trang Nguyen from CCAC, and Rebekah Shumsky from CCAC. The competition was judged by Chefs Kodi Mikiewicz and Randy Herbe, along with the sponsor of the competition - Cappi Hilyard from Dexter Cutlery - who provided the prizes for the winners. First place went to Trang Nguyen for her Chocolate Carrot Cake with Italian Buttercream. Ian McVaugh won second place for his Orange, Cardamom, Vanilla Layer Cake with Italian Buttercream. And the third place winner was Richard Grabowski for his Black Forest Cake. 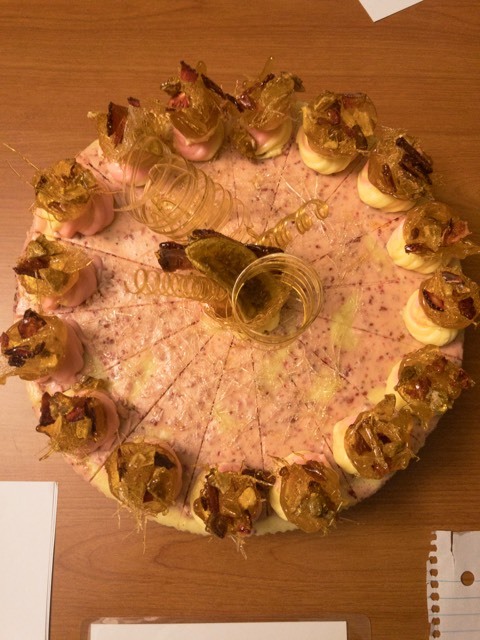 Photos of all of the cakes are available here: https://acf-pittsburgh.squarespace.com/past-events/2019/2/23/february-18-2019-anything-goes-layer-cake-competition-at-ccac. Thank you to all of the judges and competitors, as well as Chef Art Inzinga for organizing this event. Last week, I attended the ACF Regional Chef Connect in Atlantic City, NJ. The meeting was enlightening and informational. There were many seminars and demonstrations throughout the 3 days. One of the meetings was a leadership training by Joseph Syrowike, from the ACF national office. He discussed various ways for chapters to increase membership. All chapters are losing membership and if we (the ACF in general) lose too many, the ACF as we know it will cease to exist! Some smaller chapters are discussing merging because it’s easier and financially sound to do so. He discussed offering monthly giveaways to draw new members in as well (similar to what we started for junior members who are in school). There was a question about anniversaries. The ACF is 90 years old this. I thought we’d been around for a while (75 years this year), but Cleveland’s chapter is 60, and The Epicurean Club of Boston is 125 years old! Congratulations to the ACF National, Cleveland, & Boston. The opening general session presentation was by Michael Twitty, culinary historian on African Roots and how it helped developed our cuisine. His book, The Cooking Gene, traces his family’s history from the time they arrived in the U.S. to now. Michael also has done presentations in Pittsburgh pertaining to the underground railroad at the August Wilson Center. He’s a powerful speaker and a kindhearted man. There were other presentations on plant forward cuisine, Caribbean cuisine, food systems problems & food waste, The Art & Craft of Charcuterie of the Modern Menu by Michael Ruhman & Brian Polcyn. Jacob Wright, a pig farmer from VA donated a half pig for Brian to breakdown during the presentation. Afterwards, there was a Q&A session. Mirror Glaze- Pastry Techniques was done by Michael Mignano & Michael Zebrowski. Mignano is formerly of the Pierre Hotel in NYC and Zebrowski is the Pastry Chef at the American Bounty Restaurant at the CIA in Hyde Park, NY. The closing meeting had a presentation by Jeremiah Tower, former owner of Stars Restaurant in Berkeley, CA and considered one of the founding fathers of modern American Cuisine. He was also promoting his book called Start the Fire: How I Began the Food Revolution in America. There was also a documentary produced by Anthony Bourdain last year called The Last Magnificent. It can be seen on Netflix. Jeremiah Tower was one of the chefs from the late 70’s -80’s who set a standard. If you were an up-and-coming chef, he was a chef you noticed. All in all, the conference was very good with a lot to see and very informative. I’d like to remind everyone the general meeting will be hosted by Montour Heights C.C. in Robinson on Monday 25 March 2019 at 7:00pm. The guest speaker will be Dr. Richard Mills. His presentation will be on community gardens. I hope to see you at Montour. Chef Randy Herbe, Cappi Hilyard, and Chef Kodi Mikiewicz judging the cake competition at the February meeting. I hope this message finds you all a little warmer than you were last week! We’ve seen some pretty crazy weather in the last week, and today it was sunny and warm! But as the saying goes, if you don’t like the weather, wait a minute!!! I would like to correct a mistake that was made in last month’s message. I mistakenly said the Annual Gala Dinner will be held on 10 March. That date is incorrect. The confirmed date is Sunday 14 April. This mistake was not caught in time. This is also our chapter’s 75th anniversary! Exec Chef Dustin Bates and the Executive team at Allegheny Country Club are planning an exciting event! The menu looks great, and Chef Bates is holding nothing back. We’ll be recognizing the original members of the chapter and introducing a commemorative 75year pin. We’ll also be introducing our 2018 Chef of the Year. The tickets will be available soon through the ACFPC website. If you haven’t been to a dinner in a while, I hope you’ll consider this one. Remember, there’s only one 75th anniversary! I’m sure we’ll have a few special guests as well. Our January Meeting was held at the Pittsburgh Field Club in Fox Chapel on Monday 28 Jan. hosted by Chef Paul O’Toole CEC, AAC. The presentation was given by Chef Tom Macrina CEC, AAC on the ACF Culinary Olympic Team and their competition in Luxemburg. Chef Macrina is one of the teams advisors. Finally, the ACF Chef Connect will be held in Atlantic City, NJ. The dates are 24-26 Feb I hope to see some of you at the conference. Stay warm and I’ll see you at CCAC. Happy New Year! I hope you all had a wonderful holiday season and are ready to get back to work and are looking forward to a bright and prosperous 2019. Along with the new year comes new ways, ideas, and new challenges. We have the first 6 months of meeting scheduled. We’re starting off with the 28 January meeting at the Field Club in Pittsburgh. The meeting starts at 7:00pm and is hosted by Exec Chef Paul O’Toole CEC, AAC. Chef Tom Macrina CEC, AAC past National President will have a presentation on the 2018 Villeroy & Boch Culinary World Cup Competition over the Thanksgiving holiday. As we were feasting on turkey, stuffing, and pumpkin pie the ACF National Culinary Olympic team was representing our organization and country in the World Competition during the EXPOGAST Trade Show in Luxembourg. The team competed against 29 other countries in this World chefs recognized event. The ACF has competed in the World Cup since 1982. This event is held every four (4) years and traditionally serves as the half-way point in the team’s journey to the Internationale Kochkunst Ausstellung (IKA), also known as the “Culinary Olympics” in Erfurt, Germany, which will take place in 2020. Chef Reimund Pitz CEC, CCE, AAC team manager said, “The wisdom and experience of our leaders, combined with the skills and dedication or our team members and ACF’s heritage will be the key to success and position the U.S. for recognition among international peers”. More than 750 chefs represented over 50 countries competed in both team and individual competitions during the five (5) day event. Along with the National Team, Regional Team, and Youth team from the culinary program at Johnson County Community College in Overland Park, Kansas. The regional team will compete against 45 regional teams and the Youth team will compete against 15 national junior teams. This will be an exciting presentation and should not be missed. The ballots for the Chef of the Year were sent out in December. I hope you all voted and returned your ballot. The nominees are Chef Brian Buskey ACFPC Vice-President and William Racin CEPC. The information for the Annual Gala Dinner will be online shortly, and tickets will be available to be purchased through the BlacktiePittsburgh link on our website. The dinner will be held at the Allegheny Country Club, hosted by Exec Chef Dustin Bates. This will certainly be a wonderful dinner. The date is Sunday 14 April**. More information will be posted on the website. The February meeting will be at CCAC hosted by Chef Art Inzinga CEC, CCE, AAC. There will be an Anything Goes competition. Chef will have more information posted on the website. These competitions are a good way for junior culinarians to learn about what it’s like to compete and find out a little about yourself. There will be winners and losers as in any competition, but mainly it’s a competition in yourself to see how your skills have progressed and how to improve. See you at the Field Club! **We have changed the date of the Award’s Gala from March 10 to April 14. Photo of attendees at the ACF Pittsburgh Chapter Live Jazz Brunch at the Renaissance Hotel. Photo courtesy of Scout Burkhart. I hope you all had a Happy Thanksgiving and had time to spend with your family and friends. This November was a good month for us. As you know on November 11th, we had our first annual Jazz Brunch at the Renaissance Hotel. This was a fundraiser for the ACFPC. Donato Coluccio F&B Director, Exec Chef Nick Saxon, Catering Director Annamarie Turi, and the rest of the staff did a fantastic job. Extra help for the service were 5 students from Bidwell Training Center: Richard Fennell, John Moreno, Riley Reffner, Brianna Sherman, & Eli Wilkins. They worked with the kitchen staff preparing the items at the various stations. This was the first time any of them worked in any type of food service environment. Each was assigned to a station and worked with the cooks in charge. Each student took ownership of their responsibilities and did a wonderful job. There were many compliments on how nice it was to have the students involved and to have a different gathering instead of a formal dinner. The music was center stage and Mark Jankovic & Friends were great! I spoke to Mark afterwards, and he said they truly enjoyed playing for us and were impressed with the food and the interaction they had with the guests. After the guests left, the students finally sat down to eat and Chef Buskey and I sat with them and asked what they thought. Each student had big smiles on their faces and were proud of what they did. They talked about how they enjoyed the experience and could not wait to help at another function. As I watched and listened to them, a few said they’ve never experienced anything like that before and could not believe they actually did it! As a teacher and knowing these students as I do, I felt a sense of joy for them. As we thought of all the work and time the committee and the hotel staff put in for the chapter and our students, we realized this is what it’s all about. Talk about giving back a 100fold. Thank you is not enough! All Brian and I had to do was to listen to them to know it was well worth the effort. November’s Social Meeting at Bak’n in Warrendale. Photo courtesy of Scott Burkhart. Randy Tozzi, Exec Chef & owner of Bak’n Restaurant in Warrendale and Carnegie opened the doors and welcomed us as he always does, with plenty of great food, a lot of bacon, and Happy Hour priced drinks. Randy talked about his background and the road to developing Bak’n. We had a few visitors and a few friends we haven’t seen in a while join us which is always a great thing, with a total of 32-35 in attendance. The evening was pleasant, and everyone had a nice time. The weather was not in our favor, and it may have kept a few people away. As you know, there will not be a general meeting in December. Our January meeting will be held on Monday, January 28, 2019 at the Pittsburgh Field Club hosted by Chef Paul O’ Toole CEC, AAC. Chef Thomas Macrina CEC, CCA, AAC past ACF National President will talk about his travels with the ACF Culinary Olympic team to the World Culinary Competition in Luxemberg which took place over Thanksgiving. This will certainly be an interesting meeting. The team’s progress was followed on the ACF National website and our Facebook page as well. I hope you had a chance to see some to the displays they did. More information to follow. Finally, on behalf of the ACFPC Board of Directors and myself I’d like wish all of you a Happy Holiday and a fantastic New Year. See you in 2019! As the healing process continues, we all remember the 11 killed in the tragedy last weekend in our great city. We also feel gratitude for the first responders and those still recovering in the hospital. The ACFPC is an organization that encompasses all religions & nationalities. We are a community of cooks and bakers from all walks of life. We will continue to embrace everyone in our industry. 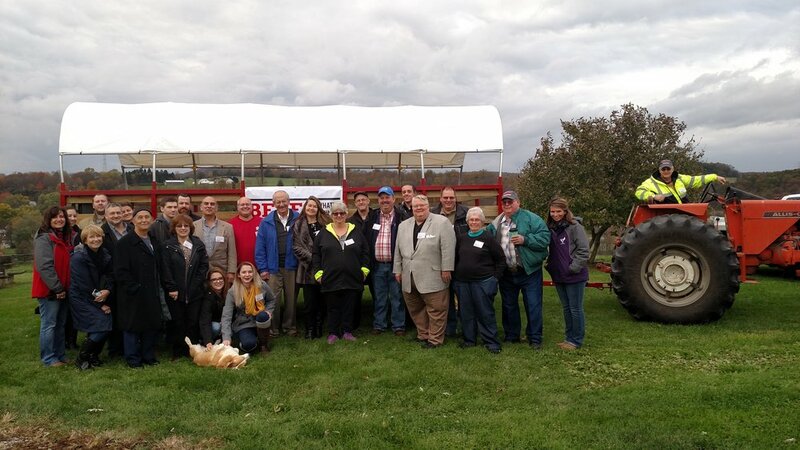 On Monday 29 Oct our monthly meeting was hosted at the McElhaney Family Farm in Hookstown. Nichole Hockenberry, marketing director of The Pennsylvania Beef Council, sponsored the meeting. This is truly a family run farm. Everyone from grandparents, to grandchildren, aunts, and uncles work on the farm. The evening started with a short welcome from the McElhaney family, and we were then treated to a tractor ride and the workings of the farm were discussed. We learned how the herd is fed and watered and when they are moved to various areas of the farm to allow the grass to grow. The farm is very efficient and recycles everything possible. Rainwater is collected in the same area as where the herd is fed. The manure is collected so it doesn’t run into the ecosystem and it is used for fertilizer. The herd consists of 50 females & 50 calves as well as the bulls and cows for breeding. The total acreage of the farm is 100 acres, not big by western farm standards. The family also raises hay on neighboring farms. The hay is bailed, wrapped, and stored for cold weather use. Another interesting note is cattle do not spend any time indoors. They prefer is spend their days outside in all types of weather. The layers of fur don’t allow water or cold to affect them. Following our hayride, a very nice buffet dinner was served. It featured braised brisket and BBQ beef, along with vegetables, salad, and desserts. Dr. Sara Place, Ph. D. of the National Cattleman’s Beef Association gave a presentation explaining how many farms, especially smaller ones, are raising their cattle in a more healthy environment, and as we know, this leads to a much better product for us. The last surprise of the night was a gift of 2 leather knife rolls donated to the ACFPC for our annual auction. The knife rolls were made by a former student of mine, Ryan Moore. Ryan is the owner and craftsman of Ram Leatherworks. Ryan is a graduate of WCCC and worked for Parkhurst dining until starting this venture. He also works with his fiancé Christine in a chocolate business she is developing. We wish both of them much success. This will be an exciting time with live music and great food. Our November meeting will be held at Bak’n in Wexford on 29 Nov at 7:00pm. This is a dinner social event so please make your reservations with Chef Brian Buskey at bbuskey@manchesterbidwell.org. There is no charge and all are welcome. The Chef of the Year nominations will close on this day as well. Our current nominees are Chef Brian Buskey and Chef William Racin. Guidelines for nomination and bios for the nominated chefs are available here: https://acf-pittsburgh.squarespace.com/2019-chef-of-the-year/ Ballot cards will be sent out after nominations close and must be returned before the end of the year. I wish you all a wonderful Thanksgiving and I hope to see you at the Jazz Brunch and at Bak’n. I hope this letter finds you all in good spirits. The days are certainly getting shorter, and the evenings are cooler. No doubt the party planning is starting. I hope everyone has been looking at the ACFPC website to see where our next meetings will be and what we’ll be doing. The October meeting is at McElhaney Farms in Hookstown, PA.
Due to the agenda they have set-up we been asked to arrive between 4:00 – 4:30. Nichole Hockenberry Director of Marketing & Communications for the PA Beef Council has a very nice evening planned, including a tour of the farm, meeting the McElhaney family, dinner, and finally a Beef Industry Panel Discussion. The Panel will include; Dr. Sara Place, Ph.D. National Cattleman’s Beef Association, a Veterinarian, a Producer, and a Beef Nutritionist. The meeting will also include a Beef Quality Assurance message from Exec Martin Thomas, CEC of the Oxford Athletic Club, (formally of the Sewickley Heights Country Club). Please be sure to send your RSVP’s to Chef Buskey at bbuskey@manchesterbidwell.org by 22 October 2018. There is no charge for the evening; the reservations are for catering purposes only. I believe this will be an exciting and information-filled evening. The agenda for the meeting is posted on the website. We are having a fundraising Jazz Brunch on Sunday, November 11 at the Pittsburgh Renaissance Hotel. Exec Chef Nick Saxon & Donato Coluccio CEC & F&B Director are holding nothing back for this event. Jazz will be provided by Mark Jackovic & Friends. This promises to be a fantastic event. The cost including a Champagne cocktail, brunch, and music is $50.00 each for member and each member's guest. Children 12 and under are $12.00. All other non-members are $75.00. Your reservations can be made at https://www.blacktie-america.com//online_sales/rsvp_ticket_purchasebt.cfm?rsvpid=2968. It would be wonderful to see all of you there and spend a nice Sunday with fellow members and other supporters to for some fine food, camaraderie, and music. I’m asking everyone to post this on your Facebook page or other social media page to reach as many of your friends as possible. Your efforts will be greatly appreciated. Our Nov meeting will be a social at Bak’n in Wexford, November 26. More information will follow. Thank you and I hope to see you at the McElhaney Farm. I hope everyone had a wonderful summer, and that you had time to spend with family and friends. Now that the summer season has wound down and we are moving into cooler weather, we’ll now start to find some relief of our unusual 90° weather. We’ll start to harvest our wonderful fall vegetables and fruit. This time of the year brings back many memories of growing up in the Hudson Valley. The apple orchards were busy with workers picking the many varieties of apples just outside my door. I would go outside and talk to the men. They knew my parents and me, and I would bring them water and my mother always had something cooking as well. In return, they would let me fill grocery bags with apples, which my mother quickly turned into apple pie and applesauce or we brought them to my family in Brooklyn. The farm tractors and trailers loaded with wooden crates of apples went back and forth as they traveled to the processing cooler to be washed and bagged for sale. It’s also a time to change menus and add a few hardier items. Game & root vegetables usually make their way to a menu to take the place of lighter salads. Last Monday, we held our general meeting at the Olive Tap in the Strip. We had a brief reception and discussion upstairs at a new restaurant called PA Market. The theme of the restaurant is similar to an incubator concept except established chefs will fill the small space to prepare their foods. Each will be different and there will also be a catering department as well. Executive Chef Chef Gaetano Ascione I.C.M.C. has a wide and varied background as well as being a Chef/Instructor at the CIA. Hersh Petrocelly, owner of the Olive Tap, gave a presentation on the growing, production, and grading of olive oil and the production of balsamic vinegar. We tasted olive oils & balsamic vinegars from various countries and the U.S. He explained how the color of the oils influence the quality and flavor. And talked about the types of grapes used in the production of balsamic and what is truly an aged balsamic and how to prove its age. We had the opportunity to purchase these items as well. The presentation was very informative and enlightening. At the beginning of the meeting, I introduced our new ACFPC Secretary, Alyssa Rose. Alyssa was welcomed by the Board and the attending members at the meeting. Alyssa is a cook at the Duquesne Club and comes highly recommended. Finally, I would like to thank Chef Buskey for setting up our meeting, as well as Chef Ascione and Hersh Petrocelly for opening their doors for our meeting. I’m sure we’ll see more of these gentlemen at our meetings. I hope your summer is going well. Even though we did not have a general meeting in July, it was still quite busy and exciting. First, July 14-19 I was in New Orleans at the ACF National Conference. What a great time! It was reported that this year was the largest National conference in 10 years! There was an added treat to the conference: The Chaine des Rotisseurs and the American Academy of Chefs joined forces and created the “Dinner of the Century”. The dinner was spearheaded by John Folse and was held at the Royal Sonessta Hotel in the French Quarter. It was a very nice dinner in a grand old hotel. The hotel is also home to Chef Folse's restaurant, R'evolution. We went to dinner there the next evening and had another great time! The conference started with none other than Chef John Folse being the opening speaker. He discussed his humble beginnings living in a trapper’s cabin on the bayou in rural St James Parish and becoming one of the nation’s leading culinary entrepreneurs. He has taken his famous “Taste of Louisiana” around the world, from London to Hong Kong and from Moscow to the Vatican. His journey from harvesting food from the Louisiana’s swamp and staying true to who he is has made him sought after by five US Presidents as well as Pope John Paul II. He is also an author and has a local TV series. I did meet him, and we spoke for a few minutes. He truly is inspiring. In the 1990’s or early 2000’s, he was the ACF National President. During his presentation there was a slide of him at a podium and in the background was the ACFPC flag. He stopped by to visit and speak to the chapter. The one highlight of the conference was the competitions, but the most important one was the Pastry Chef of the Year. William Racin CEPC of the Duquesne Club (with the help of his assistant Kodi Mikeiwicz) won the competition. To me, a mark of a true professional is making a complicated dish or centerpiece look simple. Congratulations to Will and Kodi for representing our chapter. There were many other presentations, one by Masaharu Morimoto. He fabricated a 350# Tuna! It took him and his assistant to turn it! Some of the other seminars were Modern Filipino Sig Sig, a dish made pigs head, liver, and sour vinegar by Eric Ernest, CEC, CCA of USC Culinary Hospitality, Desserts & Pastries, redefined Dacquoise by Michael Mignano of the Pierre hotel. There were many competitions including professional teams, junior teams, individuals, as well as Knowledge Bowl. WCCC won a Silver medal and had a very good showing, holding strong throughout. There were meetings to attend and of course the trade show. All and all it was a busy time but a good one. Finally, there were 18 of us from Pittsburgh who went to a restaurant called DTB (Down the Bayou). The restaurant’s Chef John Hill and Pastry Chef Jessica Shoemaker are former students of Chef Inzinga’s, Chef Scott Schmucker, and myself. This was truly one of the best meals of the week. And of course, we also indulged in Coffee and Beignets at Café Du Mond. The ACFPC Picnic was held on Sunday 20 July at Turner’s Dairy Farm. It was a joint picnic with the Laurel Highlands Chapter. About 60 – 70 family and friends attended. This was made possible through the work of Chef Brian Buskey. Thank you for all the hard work you did. Our next meeting will be on August 27 at 7:00pm at The Olive Tap, 108 19th Street "in the Strip". More information will follow. I hope this letter finds you all in a summer frame of mind. Now that school is out, many of you will be going on family vacations. Take this time to enjoy your family. Relax and enjoy this time because when you return to work you will be as busy and as crazy as summer always gets. We’ve all heard this on the news, but I would like to remind you since our weather has been more than hot make sure anytime you spend outdoors, keep yourself hydrated and covered from the sun. It does not take long for our bodies to become dehydrated and it will happen long before you realize it. Also, if you have elderly family, friends, and neighbors check on them and monitor young children’s outdoor activity as well. Last Monday, our meeting was at Treesdale Country Club in Gibsonia. Steve Lovener owner of Goat Rodeo Farm and Dairy did a wonderful presentation on his farm and the cheese making process. His slideshow and discussion on the procedure was very informative and, at times, humorous. I would like to thank Joe Conver, G.M. for hosting the meeting and Joe Elliot Exec. Chef for preparing a very nice Hors D’ Oeuvre tasting. There was also an Anything Goes Competition which was sponsored by Goat Rodeo Farm. The theme was Goat Cheese Hors D’ Oeuvres. There were three competitors: Annamaria Esplen (Bidwell Training Center), Richard Grabowski (Bidwell Training Center), and Conner Capozoli (Duquesne Club). The competition was judged by Chefs John King and Johan Meinke who were joined by Steve Loevner, owner of Goat Rodeo Farm. Everyone did a very nice job. Annamaria won first place, Conner won second place, and Richard won third. Thank you to the judges and competitors. As a reminder, there will not be a general meeting in July. We will have our annual family picnic at Turner’s Dairy Farm in Slicksville. The directions are on the ACPFC website. This year, we’ll be joined by Chef Tim Fetter, President of the Laurel Highlands ACF Chapter and his members. We’ve also invited the Punxsutawney ACF Chapter as well. I’m hoping we’ll have a great turnout. Chef Buskey and I went to the farm last month to take a look at it, and it is certainly in the country. There is a large pavilion, two ponds, (so bring fishing poles), volleyball, and horseshoes areas. Please feel free to bring any outdoor games you may have, there’s plenty of room to spread out. The food will be prepared by 2 graduates of Bidwell Training Center, Mark Zigler and Jolando Hinton, along with a little help from our friends. Most of the food was donated by many of our purveyor/supporters. Our August meeting will be at Olive & Tap on Monday, August 27, 2018. More information will be posted on our website. As many of you have noticed we’ve been posting meeting information on our website and sending meeting announcements through Constant Contact. Starting this month, we will continue to inform you of our meetings and functions in this manner. Please don’t forget to check your emails for our meeting dates and locations. Also, if you have changed your email or home address please contact me so I can have it changed in our database so you will not have a disruption in your notices. Finally, last week one of our long-time members Jeffery, fell from a ladder while cleaning the gutters and was hurt quite badly. He is at home and will require lots of rest and possibly some rehab. Please keep him your thoughts. We all wish him a fast and full recovery. I hope this letter finds you all well. It seems like the weather went from cold to hot quickly and the seasons are not changing in the way they used to! I hope you had a nice Memorial Day weekend. Now that the official start of the summer season is here, many of you have started gearing-up for this busy time of year. There will be many parties, golf outings, picnics, and most likely weddings you’ll have to contend with. Along with that, a little travel. I hope you’ll find time to be with family as well. Our May general meeting was held on Monday the 21st at Common Plea Catering’s corporate offices on Penn Ave. Exec Chef Adam Gooch was kind enough to host the meeting, and he held nothing back. It was easy to see why Common Plea is one of the best caterers in Pittsburgh. The facilities are newly renovated and have a show room on street level. They had stations set-up with hot and cold tastings along with freshly made ice cream. Keith Martin, owner of Elysian Fields Farms gave a descriptive timeline of how their lambs go from the raising & feeding to how it reaches our tables. I must say the quality of their product is superior and this is backed by the best restaurants, hotels, and clubs in the country that use Elysian Fields Lamb. Keith also mentioned they will be starting a program with the Culinary Institute of America in Hyde Park, NY. The June Meeting will be held at Treesdale Country Club. The presentation will be held by Goat Rodeo Farms. It will also be an Anything Goes competition. This month will be Hors D’ Oeuvres featuring Goat Rodeo Cheese. Please go the website (https://acf-pittsburgh.squarespace.com/anything-goes-competition/) or Chef Art Inzinga for further information. The ACF National Conference will be held in New Orleans, LA form 15 – 19 July. If you are planning on going, you’ll need to hurry and make your reservations. It looks like it’s going to be a great conference. Our ACFPC picnic will be held at Turners Farm lakes in Slicksville, PA on Sunday 22 July. There will be plenty for all to do. We’ll have lawn games and fishing in one of the two (2) lakes. We’ll post directions on the website (http://acfpittsburgh.org). As a reminder, July will not have a general meeting. Our next one will be in August at the Olive and Tap Room. More information will follow. The last thing I would like to mention is that the ACFPC has lost one of our industry's finest members. L. Edwin Brown, HAAC, HHOF passed away on 25 May 2018. We posted the ACF’s message on our website. Uncle Ed, as he liked to be called, was responsible for the ACF’s first apprenticeship program at CCAC, which many of our chefs and chef/instructors are graduates of. I remember the first time I met him, I knew who he was, but I had not met him. Chef Inzinga and I were in Rochester, NY at the ACF NE Conference. Art introduced me to him, and he greeted me as if we were friends. We spoke for a while. It was an honor to finally meet him. From that point, whenever we saw each other, he would say hello with a hand shake and a hug. He would always find time to ask how the ACFPC was doing and he wanted to know when our annual picnic was so he could come. He was the kind of person who not only cared about you, but if he knew your family, he would ask about them as well. Our chapter has had some of the finest chefs in the country and still does today. Uncle Ed was a special man, and if you were in his very large circle of friends you can consider yourself a lucky person. The last time I saw him was in St Augustine, FL at the 2017 National convention. I was inducted into the AAC and Uncle Ed sat at our table. What a privilege! So, Uncle Ed, our toques are off and here’s to you. You are truly a fine gentleman and mentor to many. Thank You. I hope this letter finds you all happy and healthy. It seems like April sped by very quickly and May is not moving any more slowly. I’m sure there are plans already in place for the Memorial Day weekend. As usual, the clubs will have their functions, outings, and other special events. This is usually a time when extra hands are needed, so please feel free to contact me if you are in need of help and I will do my best to help you. Last Monday, we had our General meeting at Allegheny Country Club. Chef Inzinga presided over the Anything Goes Competition. There were two contestants for this Petit Fours competition: Jonathan White (a student at WCCC who also works at St Claire CC) and Kathleen Garland. Both did a very nice job. Jonathan won with a Pate Brisee filled with Cranberry Mousse, Chocolate Ganache mirror, mini baked Meringue, Garnished with Gold spray, Gold ribbon, and Silver Pearl. The judges were Will Racine CEPC and Bill Hunt CEC, CCE, AAC. Thank you everyone for making the competition happen. GM Justin Kolanz and Exec Chef Dustin Bates as well as the rest of the team from Allegheny Country Club welcomed us with open arms at the meeting and provided us with a wonderful evening. We started the evening at 6:30 pm with a few Hors D’ Oeuvres, crab cakes, and miniature tacos. The meeting started with the usual business, then a presentation on sustainable Salmon by Bill Bradford, Marketing Coordinator of Samuels Seafood Co. and Bill Hewitt Sales Manager – East Coast from Verlasso Salmon. Both gentlemen gave an impressive & positive outlook on the future of Salmon. Mr. Hewitt showed a video about the process of producing sustainable salmon takes place in South America off the coast of Patgonia where the waters are much cooler. Verlasso has a farming areas and processing plants right there so the product is kept as fresh as possible without having to freeze it. Thank you gentleman for a wonderfully informative seminar. There were 48 – 50 in attendance. This was the first time that the meeting was attended by a few members of the Club Managers Association as well. I was happy to see a few new faces, as well as an increase in the general attendance. Everyone seemed impressed and were happy to attend. Other members from Samuels also attended, including Mike Spallato, Sales Representative (local) & Thomas Caruso Vice President of Sales. Both Bill Bradford & Thomas Caruso came in from Philadelphia. After the presentation, Justin Kolanz and Dustin Bates greeted and thanked the membership for coming. Dustin talked about the buffet he had planned. Dustin and his staff prepared a buffet with seared salmon, braised short ribs, chicken, and a pasta dish. The food was great and everyone seemed to be enjoying themselves and having good conversation. Thank you once again Justin & Dustin for your warm hospitality. Our next meeting will be on May 21st at Common Plea Caterers in The Strip, hosted by Corp. Exec Chef Adam Gooch. More information will follow. Lastly, Chef Buskey and I are always looking for new educational and fun things to bring to the meetings. If you have any suggestions on what interests you, please contact Chef Buskey or myself. The 2019 calendar is open so please let us know. I hope this letter finds you all in good health and happy. I know many of you had a busy weekend at your businesses; I hope it went smooth and you were able to spend a little quality time with family and friends. We were approached by the Club Managers' Association with a unique and exciting opportunity to have our 30 April 2018 meeting at the Allegheny Country Club in Sewickley Heights. Our hosts will be Justin Kolance, GM and Dustin Bates, Exec Chef. We will be treated to an al fresco style dinner with fire pits a blaze! There will also be a cash bar. The cost is $30.00 per person. All guests are welcome. (Chefs, this is a good chance to bring your GM to a chef’s meeting)! Hors d’oeuvres and cocktails will start at 6:30pm and the general meeting/presentation at 7:00pm. The presentation is on Salmon sustainability by William Bradford & Thomas Caruso Samuel & Sons Seafood and Bill Hewitt of Verlasso Salmon. There will be 1 CEH for the presentation. Their discussion will be on how the oceans are being over fished and how our food supply must become more sustainable to meet our consumption demands. On Sunday, March 11, we held our Annual Gala dinner at St. Clair Country Club. Exec Chef Shawn Culp CEC, WCMC, MBA, his kitchen staff, the dining room staff, and club management did an outstanding job providing us with a wonderful evening. One of the surprises of the evening was the Champagne Wall. You walked up to the wall and a white gloved hand came through a curtained window and handed you a glass of champagne! It was certainly a point of discussion through the evening. The hors d’oeuvres were passed and displayed on a center table with an ACFPC ice carving. The dinner was over the top! The club went out of their way to welcome us and make for one of the best dinners we’ve had in a long time. Everything was expertly presented, and professionally served. Along with our William Foust Scholarship Auction, we also had a new addition: A Chef’s Market. There was Duquesne Club Honey & Macarons, Relishes & Salsa from Chef Inzinga, Jam from Chef Meineke, Smoked Black Pepper & Smoked Himalayan Salt from Chef Bardy, Chocolate Bark from Chef Schrenk, Biscotti cookies from Chef Beatty, Sweet & Smokey Rubs from Bidwell, and ACFPC tote bags & tee shirts. The Chef’s Market Display was organized and arranged by Michaelle Buskey with a little help from Brian. The responses we heard about the market was very positive. I would also like to thank all the various supporters for their auction donations. There were golf packages, knives, uniforms, a quilt, various gift baskets, and more! Chef of The Year, Norm Hart CEC, CCE, AAC, HOGT thanked the PTC staff and his wife for their support. Our Supporter of The Year was presented to Bidwell Training Center for their unwavering support; accepting the award was Ms. Valerie Njie Exec. Director/ SR. VP. I would also like to thank the sponsors for helping to make this a memorable evening; US Foods, Paragon, Mastro Ice, Break Thru Beverage Group, Chef’s Warehouse, Reinhart Foodservice, Weiss Meats, and Euclid Fish. Without their contributions, the dinner would have not been possible. Another first was a Student Table donated by the Chaine des Rotisseurs. There were students from CCAC, PTC, & Bidwell who had a chance to make new friends and share a fine meal. A very special thank you to the Dinner Committee, without their hard work, the dinner would not have been possible. The Committee is; Chef Byron Bardy, Chef Cindy Tuite, Chef Brian Buskey, and Jill Kummer. This was also the second year we’ve gone to on-line reservations. This has been a wonderful addition in making the dinner more stream-lined. Thank you, Jill for making this possible. Our March meeting was hosted by Eric Fair of Core Group. The presentation was on “Menu profitability” by Marco Auriti of DeCeccio Pasta and Mike Pierro of Schweid & Sons Meats. Marco discussed and showed power points on how DeCecco prepares the pasta using the local mountain water and flour. He explained where the plant is located, and how the water comes directly from the mountain to the plant. It is then filtered for use. He also mentioned how the pasta is dried and quickly packaged. An interesting note about the product is that you find very little, if any broken pieces and the stability of the product. Meaning that it holds its shape after cooking. Mike discussed how Schweid processes their beef and creates custom ground meat for a wide variety of clients who want their own special mixture. Their product is never frozen and comes in prepared patties at a certain weight per package. There were samples from both and the texture and flavor of the pasta and beef was fantastic. I’m looking forward to an exciting meeting and a wonderful dinner on Monday, 30 April. I hope to see you there. Well, just as it looks like the weather is getting better, a Nor-Easter decides come in and chill us once again. I heard a saying many years ago while living in West Stockbridge, Mass. “If you don’t like the weather, wait a minute”. I guess it holds true for all snowy regions. Our February General meeting was held on Monday the 19th at CCAC and hosted by Chef Art Inzinga. George M. Sideras CEC, AAC, HGT Minors Corporate Chef (Minors is a subsidiary of Nestle Professional) did a presentation titled Neurogastronomy 101: The Science of Taste. 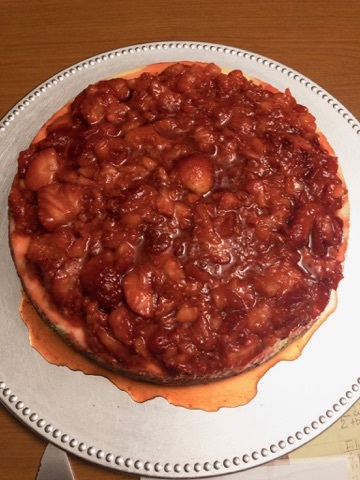 In short, the presentation gave an overview about the study of flavor perception and the ways it affects how we memorize a food product to its flavor. Neurogastronomy also contributes to food addiction & obesity, taste preferences, and how we communicate and identify flavor. The term neurogastronomy was coined by neuroscientist Gordon M. Sheperd. The presentation was very insightful and at times entertaining. Attendees received 1CEH. Ed Colon, Fairmont hotel, Chocolate Turtle Cheesecake. I’d like to thank Chefs Andrea Schrenk CEPC, CCE, AAC; Will Racin CEPC; & Ruth Beatty CEPC for being the judges. I would also like to congratulate Chef Racin for winning the NE Regional Pastry Chef of the Year. He will go to New Orleans to compete for the National Pastry Chef Competition in July. Chef Connect was held in Charlotte, NC from 25-27 February. As always there were hands-on workshops and plenty of demonstrations. The opening session speaker was Claus Meyer. Chef Meyer is in the forefront of the Nordic food revolution and is co-founder of Noma in Copenhagen which is considered the “World's Best Restaurant”. He’s also responsible for launching an indigenous food movement in Bolivia. This movement has trained thousands of young people and has developed a sense of pride not only for the food but the people as well. One of his latest endeavors brought him to NYC to open the Michelin-starred Agern and Northern Food Hall in Vanderbilt Hall, Grand Central Station. I would also like to mention that Westmorland Community College won the NE Region Knowledge Bowl Competition. They will go onto New Orleans to compete in the National Competition in July as well. Their names are Amanda Shriner, Craig Stahl, & Erin Bertuzzi. Their coaches are Scott Schmucker PhEd, CEC, CCE and Chris Cswierz CEPC. "Exploring the Streets of Mexico" presented by Ryan Manning formerly Banquet Chef of the Ritz Carlton in Cancun, Mexico now Washington DC. Chef Davis Burke CEO, DB Global LLC NYC Innovator and restaurateur of David Burke Kitchen at the James Hotel, NYC. Chef Burke is owner of various restaurants and steak houses through out the U.S.
All Grain Lunch & Demo by Jason Ziobrowski CEC Corp. Chef, In-Harvest Inc.
South West Cuisine by Dean Fearing formally Exec Chef of The Mansion at Turtle Creek Dallas, Texas now owner of Fearing’s at The Ritz Carlton, Dallas. Chef Fearing along with Steven Pyles & Robert Del Grande started what is now known as Southwestern Cuisine. Finally, I attended the AAC Dinner at the Myers Park Country Club, Hosted by Jason Hall CMC. Jason is a 1995 Graduate of Pennsylvania Institute of Culinary Arts. The club is one of Charlotte’s oldest & finest private clubs. It is the recipient of the Platinum Club of America and the Five Star Private Club recognitions. The Conference was certainly filled with much to do and Charlotte has its share of interesting sights and restaurants to visit. Our next General meeting will be on Monday 26 March with Core Group/Concept Foods at 7:00pm. Finally, our Annual Awards Gala will be held on March 11, 5:00pm at St. Clair Country Club. Please visit our site for more information, including the menu and how to purchase a ticket: https://acf-pittsburgh.squarespace.com/2018-gala . The last day to purchase a ticket is Tuesday, March 6. No tickets will be available to purchase at the door. I hope this letter finds you in good spirits. We started this year with an exciting meeting at The Capital Grille. Executive Chef Donato Coluccio CEC did a presentation on aging meat. He discussed the process of dry aging vs wet aging. He talked about the benefits of both as well as the taste value of each. He had three (3) sirloins aged for different times. He explained dry aging is minimum of 18 – 35 days at 36* open & unwrapped, post mortem to market. Wet aging is 7-10 days post mortem up to 21 days. Chef prepared tastings of the various steaks. He also mentioned that there are some customers who want steaks aged longer than 35 days. This is special and not for everyone. He removed both ends of each sirloin. He said they give about 12,000 pounds of the beef trim per year to the homeless shelters. 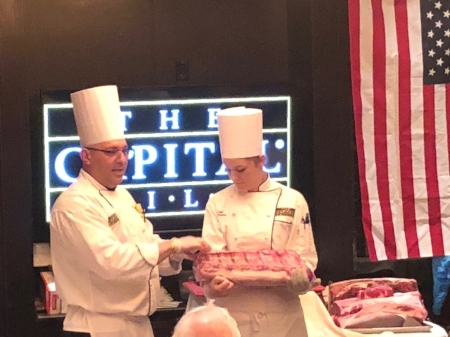 He demonstrated cutting the sirloins into NY steaks and trimmed them to Capital Grille specs. The steaks were simply seasoned and grilled from rare to medium rare doneness. The flavors of the steaks had their own identity and flavor. All were very good and as you might expect, the longer dry aged had the tendency to be a little drier, so undercooking these items was important to retain as much moisture as possible. I have to say it was exciting seeing such a large turn out. I saw friends from years past as well as meeting new ones. We topped out at 60+ guests with standing room only. I heard from a few of you saying they enjoyed the presentation and thought it was very informative. I would like to thank Chef Coluccio for hosting the meeting and sharing his knowledge. I would also like to thank Bob Hruby, Meat Specialist at Stockyard Meats (retired), a division of US Foods, for his comments and knowledge on meat. Bob has been a supporter of the ACFPC for many years. Our next meeting will be held at CCAC, Jones Hall 808 Ridge Ave on Monday 19 February at 7:00pm hosted by Chef Inzinga. This meeting will be earlier than normal do to the ACF Regional conference in Charlotte, NC at the end of the month. This will be our first Anything Goes Competition of the year. The competition is open to all student and junior members. 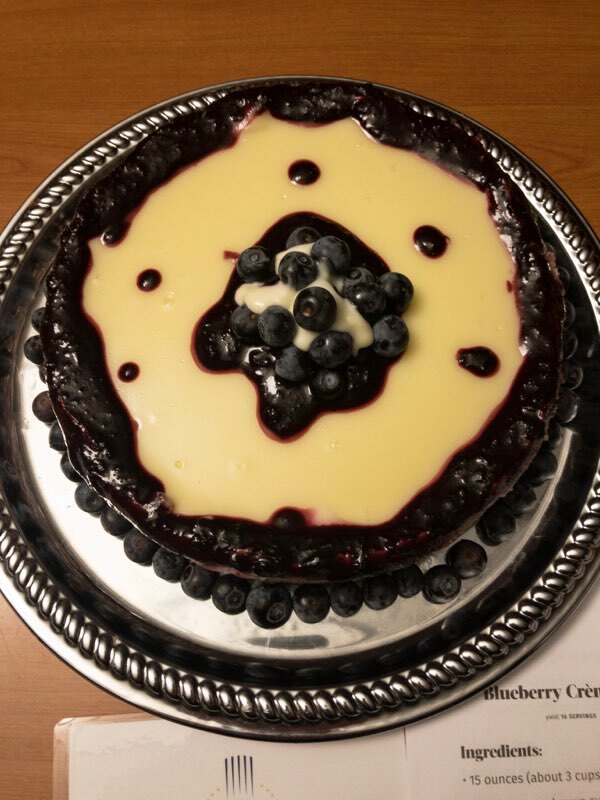 The theme is “Dessert Cheesecake.” Please visit our website ( https://acf-pittsburgh.squarespace.com/anything-goes-competition ) for details and contact Chef Inzinga ( ainzinga@ccac.edu ) if you would like to compete. There will also be a presentation titled "The Science of Flavors" by Chef George M. Sideras CEC, AAC, HGT of Nestles. The presentation will define the components of flavor, explain the science behind how we taste and experience flavor, and it will include demonstrations. This is sure to be an exciting and very informational meeting. Our Annual Awards dinner will be held at St Clair Country Club on Sunday 11 March at 5:00pm. Exec Chef Shawn Culp CEC, WACSMC, MBA will head the team for what looks like an exciting evening. The invitation information is available on the website at https://acf-pittsburgh.squarespace.com/2018-gala. Please remember that your reservations will need to be made online prior to the event. Finally, as I’m writing this, Punxsutawney Phil saw his shadow which means we’ll have six more weeks of winter! Stay warm and I hope to see you at CCAC. I hope this letter finds you all in a festive mood and you are looking forward to the Christmas holidays. The holiday parties will wind down, and we’ll be right in to the New Year’s celebration. As we all know, there will be a short reprieve before a whole new schedule starts again. As you know, the elections were closed at the November meeting, and the election ballots were sent out. I hope everyone filled in the election ballots and returned them. They need to be received by 28 Dec or they will not be counted. Please make sure you return them. As the saying goes, every vote counts. I would like to thank you, our membership, for your constant support throughout the year. We’ve had great educational and social meetings. For this, I’d like to thank our hosts. Many have held their doors open for us over the years, but for some, it was a new and welcome experience. Thank you for allowing us to share in your hospitality. I hope we’ve been helpful by introducing you to the membership. This past year, the awards dinner was held at Sewickley Heights Golf Club, and as you know, it was amazing! Chef Martin Thomas, CEC and his staff did a fantastic job. They went above and beyond our expectations. Remember to save the date for our next award’s dinner which will be hosted by St. Clair Country Club on Sunday, March 11, 2018. My thanks go to Chefs Joe Bello and Brian Buskey for their continued effort to improve our membership and public image. They are the Co-Chairs of the Next Gen Council, a committee made up of our new and young culinarians who see the value in their membership. Through their efforts, they are paving the way to the future of the ACFPC and what we stand for. We must keep in mind, that this will soon be their organization and they will be in charge. We are a fellowship of not only culinarians but all who are affiliated in the food service industry including; managers, wine professionals, purveyors, and owners. I am proud to say that we have a variety of these professionals as members and hope more will find the value of the ACF as they have. Though out the year, the attendance at our meetings has increased as has our membership with new and renewing members. They recognize that we, as an organization, are here to stay and will look to the future of our existence. We cannot sit on the laurels of our past and expect to move to the future. It’s important that we support the new generation and listen to their ideas. I would like to thank the Board for your continuous support and keeping me on track, and Lisa our Webmaster for keeping our website going. And finally, you the membership, for there would not be an ACFPC without all of you. Thanks for believing in us. Our next meeting is at the Capital Grill on Monday, January 29 at 7:00pm. It will be hosted by Exec. Chef Donato Coluccio. Chef Coluccio is another long standing and well respected member of ACFPC. He will do a presentation on dry aging vs wet aging meat along with a few other facts on meat. All participants will receive 1 CEU for ACF continuing education. We will have space for 40 members so reservations are required. Please send your reservations to me at cpcater@comcast.net or leave a message at 412-508-7805. I wish you all a very Merry Christmas and a Joyous Holiday season. I hope the New Year brings all of us a happy and bright future. Don’t forget to email me your reservation for the Capital Grill meeting on Monday 29 January 2018. I hope you all had a Happy Thanksgiving and were able to spend time with family and friends. The Christmas holidays and New Year will soon be here and will be gone even faster. During December everyone will receive a voting ballot in the mail. Please be sure to take a few minutes to vote and return the ballot in the envelope provided. It’s important to show your support for the nominees. The nominations were officially closed at the November meeting. The November meeting was hosted by Chef Randy Tozzi at his second restaurant, Mac & Toz Alehouse in Bridgeville. Chef Tozzi is a long-time member and supporter of the ACF. This restaurant is a different format from his first, Bakn in Carnegie. Bakn will soon have a sister restaurant in Warrendale which will open in early-to-mid 2018. Chef Tozzi is not a stranger to the Pittsburgh food family. He’s been a regular on WQED and has worked at the Duquesne Club and Market District before opening Bakn with his partner Dr. Susan McMahon. There will not be a general meeting during December. Our next meeting is at the Capital Grill on Monday 29 January at 7:00pm, (more information to follow). It will be hosted by Exec. Chef Donato Coluccio. Chef Coluccio is another long standing and well respected member of ACFPC. He will do a presentation on dry aging vs wet aging meat along with a few other facts on meat. All participants will receive 1 CEU for ACF continuing education. We will have space for 40 members so reservations are required. Please send your reservations to me at cpcater@comcast.net or leave a message at 412-508-7805. As we once again close out this busy season, don’t forget to reflect back on what this year has been and look ahead to what the future has in store. I wish you all a very Happy Holidays and bright New Years. Thank you for a wonderful 2017 and I look forward to seeing you at Capital Grill. I hope this letter finds you all in good spirits. It now time to turn our clocks on Sunday, get another hour’s sleep and start thinking about what accompaniments are going with the turkey. This past Monday was our October monthly meeting. Joe Mastro did a presentation on ice carving. He explained how ice carving evolved from the time of using a 6 prong ice chipper and Japanese carving tools to chain saws, die grinders, and irons to the computerized CNC Router that are now used for more precise and accurate rendition of almost anything you want. He mentioned that one of the advantages of the machines is that once the picture or drawing in programed into the computer, you can make the same sculpture a year later and get the exact rendition as the previous one. The ice has changed as well. The blocks are crystal clear and the result is a more eye appealing sculpture. One of the sculptures he made was the ACF logo. The logo had the pleats on the chef’s hat, blue stars, and red and blue wavy lines for the flag. The colors were made by pouring colored sand into recesses in the ice. The sand was then held in place with “snow” - a byproduct of the ice carving process – which was packed in behind the sand. It’s a whole new way of designing ice. One sculpture that has become very popular is a “luge” where a channel is cut into two pieces of ice so that they line up when the ice is sealed closed. When a beverages is poured into the top of the ice, the liquid flows through the channel into a glass at the bottom. It is a very impressive way to serve ice-cold beverages. The meeting was hosted by Chef Cindy Tuite CEC, CCE, AAC Program director at Bidwell Training Center. Chef Brian Buskey, ACFPC Sargent-at- Arms and Catering chef at Bidwell prepared an Asian buffet. The items were; Asian Peanut Noodles with Hoisin Salmon Nuggets, Spiced Asian Chicken Bao Steamed Buns with Kim Chi and Quick Pickled Cucumbers served a Siracha Aioli, Steamed Pot Stickers with a Spicy Dipping Sauce, and Vegetable Spring Rolls with Tamarind Cashew Dipping Sauce. Thank you, Chefs Tuite and Buskey for taking the time to host our meeting. November’s meeting will be a social meeting. Please bring your spouses or a guest and enjoy a fine evening of comradery and great food. This is the last meeting of the year and will be held at Mac and Tozz in Bridgeville. Chef Randy Tozzi one of our city’s most well-known and respected chefs. Reservations are requested for this meeting. More information to follow. The ACF’s Master Chef’s Exam was last month. Ten chefs started the week-long test and three passed. Parts of the test were live-streamed and are available on Youtube. Congratulations to the 2017 American Culinary Federation Certified Master Chefs: Gerald Ford, CMC; Joseph Leonardi, CMC; and Shawn Loving, CMC, CCA. I’d also like to mention that our Chef’s Spot Light for this month’s newsletter will feature Chef Byron Bardy, CMC, AAC. Chef Bardy has had a career that is over 50 years young and still going strong!!!! Finally want to I wish you all a happy Thanksgiving. It’s important to take the time to spend with your family and friends, you deserve the time as much as they do. Remember, they are the backbone and strength of what makes us who we are. I hope you are all well and in good health. It seems like the summer had gone by very quickly and autumn has officially arrived. I find this to be my favorite and the most beautiful time of the year. The fall colors starting to turn, the smell of the fallen leaves on the ground, and the chill in the air all leads to a crisp, clean feeling. Fall crops are now available, and the variety are plentiful. It’s also a time to not only go for a drive to see the colors, but also to stop by the road side veg & fruit stands and support some of the smallest farms in our area. In fall, we think about heartier foods, warmer drinks, apple pies, pumpkin pies, berry, and mincemeat pies. If you look closely you’ll see tap lines that have been set for maple syrup production. All this amounts to the benefit living in the north. Yes, it can get cold, snowy, & icy but the change of seasons is something we are fortunate to experience and it can’t be beat. Before we know it, the holidays will be here. Many of you are gearing up for the holiday functions and dinners. Some businesses may need extra help during this time, please feel free to send me a message on what positions you need to fill and I’ll pass on the information. Make sure that you send pertinent information: desired qualification, who to contact, email, and phone number. Last Monday, 25 September, we held our general meeting along with the last Anything Goes Competition for this year headed by Chef Inzinga CEC, CCE, AAC. The meeting was held at PTC hosted by Chef Norman Hart, CEC, CCE, AAC and the culinary staff and students. There were three competitors, all being from PTC. There were 4 judges: Chefs Johan Meinke, Edward Colon, Dave Russo, & Mark Clink. Chef Inzinga arranged with Dexter Knife Co. to donate knives as prizes for the competitors. Their names in order of placement are 1st Conner Capazoli from The Duquesne Club, 2ndVictoria Rucci from Buca di Beppo, & 3rd Chandler Flak from The Carnegie Science Center. Thanks to Chef Inzinga, our competitors, judges, hosts, and everyone else who helped organize another great competition. This month on 30 October, our meeting will be held at Bidwell Training Center. Joe and Mike Mastro owners of Mastro Ice Company, have agreed to do an ice carving demonstration and will have a few pieces of ice for a few people to try their hand in carving. They will discuss the various techniques of carving ice as well as the new technology now being used. Joe is a Master Ice Carver, and he and Mike are founding members of NICA National Ice Carving Association. They are both national and international competitors and past judges. Joe & Mike have been loyal supporters of ACFPC for over thirty-five years. Their work can be found at many of the city’s events, at our Annual Awards Dinners, and in the movie Groundhog Day. I was fortunate enough to work with Mike and Joe for the homecoming of our troops from Desert Storm. Along with 5 or so other carvers we produced a red, white, & blue flag complete with 50 stars and an eagle on top. This sculpture was featured on the cover of NICA magazine 1994 or 1995. Many of the tables, bowls, and figures are also found on their website, www.mastroice.com . This will certainly be a fun evening. Also, there are Board positions opening up at the end of the year. More information will follow in an email blast. Nominations will continue until our November meeting. Finally, the November meeting will be a social meeting at Mac & Tozz in Bridgeville. I hope to see many of you all at the meeting. I hope you all had a great summer. As of today it’s chilly and the temperature is pretty erratic! I guess it’s common for us. Now that the weather is beginning to change, the last of the tomatoes, berries, squash, & fresh herbs from our gardens will make way for heartier foods that come along with the season. New local fall crops such as root vegetables, apples, corn, broccoli, cauliflower, peas, spinach, pumpkins, & squash are a sampling of what our area has to offer. For us in the north we start to move away from lighter fare and think warm items. Hearty soups & game meats always come to mind. I always look forward to this time of year. The natural change to fall colors is a short-lived, but special beauty, that unfolds before us. On Monday 28 August, we were treated to a wonderful ACF general meeting at the Duquesne Club. Chef Cougheneour and his staff prepared very tasty appetizers for a pre-demonstration Hors D’ Oeuvres hour - simple and full of flavor. Executive Pastry Chef William Racin CEPC, assisted by Kodi Mikiewicz, provided a demonstration about Molded Truffles. He prepared a Lemon Caramel Truffle and Pistachio Strawberry Truffle. He brought us through the entire process which, according to Chef Racin, can be a time consuming. The final products were not only a beautiful sight, but were bursting with flavor. The truffles were not too sweet and the various flavors in each truffle were complimentary. The use of plastic molds, spray glosses, and a variety of shapes has come a long way from the days of rolling round ones by hand. After the demonstration, Chef Racin had a dessert buffet set up with many varieties of truffles and candies. There was such a bounty, and the wait-staff brought out containers to take the delectable treats home. I would like to thank Chefs Keith Coughenour, William Racin, and Kodi Mikiewicz and Dining Room Manager Tom Wahl of the Duquesne Club for creating such an interesting meeting. Special thanks to Lisa Beiswenger, our webmaster, who livestreamed the demonstration on Facebook. Within 30 minutes there were over 225 views!! This is the first of our livestreamed presentations, and I hope we’ll see many more. She has it posted on our website and also on YouTube (https://youtu.be/B-j8BtIjTmA). We also started the process of opening up nominations for the Board of Directors. All Officers and 4 board members positions are open. Jeff Whyle is the committee chairman for the elections. Chef Inzinga will be having our bi-monthly “Anything Goes” competition. This month’s competition will be “Knife Skills” hosted by Chef Norman Hart of Pittsburgh Technical College. The competition will be sponsored by Cappi Hilyard of Dexter / Chef Revival. Please contact Chef Inzinga at ainzinga@ccac.edu for further information. Our November meeting will be at Mac & Tozz in Bridgeville, Chef Randy Tozzi’s new adventure. This meeting will be the last of the year, so it will be our social event. Finally, I have to mention that our annual picnic was canceled due to unforeseen circumstances.